Inspiring master classes by TRANSFER LBC at 1st Cross Border E-commerce event! 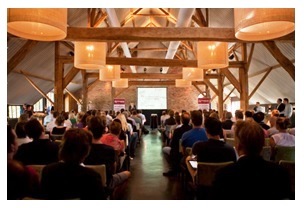 On the 5th of September the first Cross Border E-commerce event took place in the Netherlands. More than 200 companies participated in this conference with the purpose to make their e-commerce business successful abroad. After inspiring presentations by the keynote speakers of Footlocker and Fashion Chick each of the visitors attended several encouraging master classes. Speakers from renowned companies such as DHL, Domino’s Pizza and Google shared their experience and best-practices with the audience. On top of this, the online entrepreneurs could benefit from the know-how of the local specialists from France, Germany, Latin America, Spain and Scandinavia. Country specialists, Gerald Baal and Desirée Roke from Transfer Latin Business Consultancy, were invited to exchange their knowledge about the French and Latin American e-commerce sectors with the entrepreneurs. Both of these countries have a booming e-commerce sector which is attractive for foreign webshops. The French e-commerce sector is less competitive than for instance the German market and realizes a growing turnover despite of the economic crisis. Although the Latin American continent is less developed than the European e-commerce markets, the online opportunities are endless due to the increasing middle class who is discovering online shopping as a result of the increase in purchasing power. During the presentations Transfer did not only highlight the main opportunities, but also made the companies aware of the challenges in the field of payment methods, culture and logistics. Diverse successful online entrepreneurs used the opportunity to discuss their promising cross border plans during the round table sessions after the presentations, while enjoying a delicious barbeque. In the meantime, several of these companies expressed their interest to use the services of Transfer in order to establish a flourishing webshop in France or Latin America. For an impression and report, click here. Are you interested in boosting your e-commerce sales in France or Latin America? Transfer LBC offers you e-commerce support in the range of domiciliation services, website optimization, SEO, Adwords campaigns and link building. Do not hesitate to contact us for more information.